In quiet area, not far from the town’s centre, we offer this villa comprising three flats, gardens, wide balconies with sea view, 5 parking lots and a large deposit (130mq circa), nice finishes. This villa is on three floors, ground floor includes: entrance, living room with kitchen, bathroom, bedroom with mezzanine and its own bathroom; first floor: 120mq apartment including entrance, kitchen, sunny living room, three bedrooms, two bathrooms, closet, and wide balconies; second floor (loft): entrance, living room with cooking area, two bedrooms, bathroom and balcony. Independent heating, Air conditioning. Renovated three-room flat, two floors, in an elegant structure, garden, concierge service, swimming pool, tennis court and solarium. The apartment consists of: an entrance, living room with kitchenette with a panoramic sea view, two bedrooms and two bathrooms at the garret. Own park lot and basement. 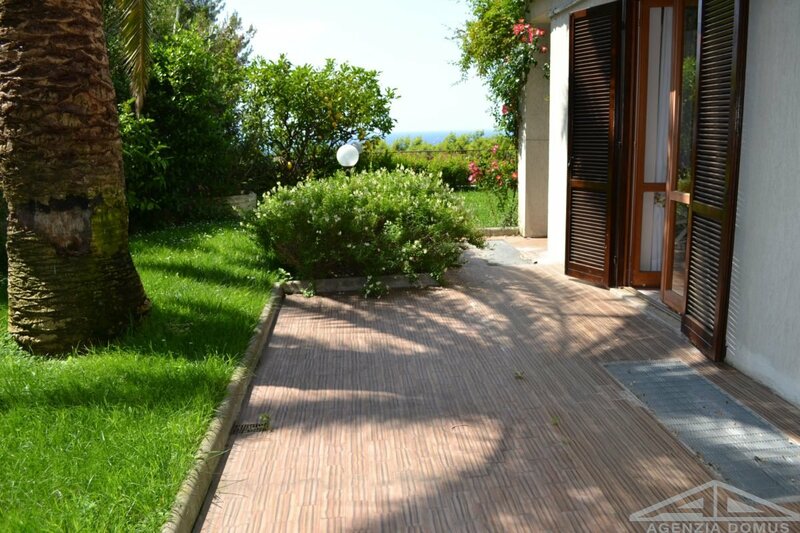 In a residential estate with swimming pool and a stunning sea view, wide and sunny three-room flat with beautiful view from a terrace on two floors, it consists of an entrance, living room with kitchenette, master bedroom, a bathroom, twin bedroom and a bathroom. Independent heating. Very low condo charges. there is the possibility of garage. Request € 240.000,00+ € 30.000,00 for the garage.